Tom Hanks | No Chic. Just Geek. Things have got to the point where, if you’re not paying close attention, you could almost start to get Woody Allen and Clint Eastwood mixed up with each other: both hugely respected actor-directors, both of about the same vintage, both rather less frequently seen before the camera these days… and, it should really be said, both of them perhaps not quite delivering the goods with quite the same consistency as was the case back in the 70s and 80s (your mileage may obviously differ, and it would be remiss of me not to admit that Eastwood is currently on the biggest hot streak of his career in terms of simple commercial success). It’s still quite rare that either of them serves up something genuinely bad, but as often as not these days their films are most likely to make you go ‘Mm,’ and change the subject onto something a little more prepossessing. I offer as the latest exhibit Clint Eastwood’s new movie Sully, which rather puts me in mind of an episode of the long-running medi-soap Casualty. Or, more precisely, something I once heard said about Casualty by a writer who briefly worked on the show. Doing his research, by both watching old episodes and hanging around in A&E departments, he came to the conclusion that Casualty (the show) was filled with people who had accidents which conveniently allowed them to articulate whatever personal and emotional issues they happened to be going through, while Casualty (the department) was simply filled with people who had had inconvenient (at best) accidents. So he started writing episodes which he felt were truer to life – ones where the central crisis, rather than serving to unveil a secret conflict or enable personal growth, just happened to unsuspecting, undeserving people. And he lasted about two episodes before they sacked him. Fiction ideally demands outrageous drama. Reality generally has different requirements to fiction, of course, which is one of the main things you notice about Sully. This presents itself as a docudrama about the 2009 ‘Miracle on the Hudson’ incident in which a passenger jet made a water landing on the Hudson River after both its engines were disabled in an encounter with a flock of birds. Tom Hanks and Aaron Eckhart play the pilots of the troubled plane; Eckhart has the bigger moustache but Hanks gets the bigger role, as Chesley Sullenberger (our research indicates this really is his name), a hugely experienced aviation professional who finds himself wholly unprepared for the media and administrative circus which consumes his life immediately after the crash – or, as he is very careful to describe it, ‘water landing’. I’ve already inflicted one overelaborate metaphor on you, but never mind: here’s another one. Imagine watching two men build a dry stone wall. Between them these guys have been building things for seventy or eighty years. You are in the presence of two of the greats. Every move they make is nothing less than measured and precise and immaculate. What they are doing is effectively beyond criticism. However, they are still building a dry stone wall, which is not the most exciting structure in the annals of architecture, and nothing they do can really distract you from that for too long. In other words, while Chesley ‘Sully’ Sullenberger – careful, reserved, precise, particular, dry as an old biscuit, an unlikely candidate to even have a nickname – may be exactly the kind of man you want flying the plane next time you travel by air, he’s not exactly sparkling material when it comes to a true-life movie drama. All right, so he has a few traumatic flashbacks and nightmares, and it’s suggested he’s a bit economical with the actualite when it comes to using his first job to promote his second (aviation safety consultant), but that’s still pretty slim pickings when it comes to putting together a movie even as brief as this one (a practically bite-sized 96 minutes). 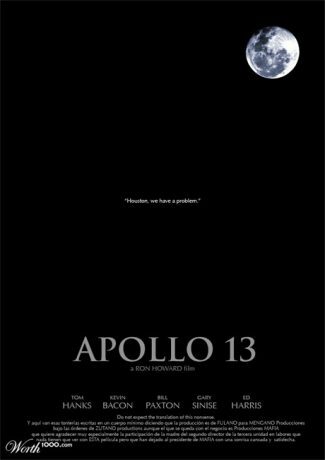 It may also have been an issue that all the really exciting stuff in this film technically happens at the start of the story, which would explain a slightly curious structural choice where the actual movie begins post-crash – sorry, post-water landing, and then goes on to showcase the incident and its aftermath in the middle of the movie. And then show the plane going down once again just before the closing credits, presumably because it’s such an exciting bit the audience aren’t going to complain about watching it a second time. And I suppose they’re right, because the post-goose-meets-jet stuff is far and away the most interesting and engaging part of the film. The rest of it is just grey and lacking in a clear focus: it could be about how the media sensationalises everything, even things which were pretty sensational to begin with, or about the loss of trust and simple human decency in a machine-dominated world, or the importance of remembering to take our basic humanity into account. It certainly feels like a film with A Big Message, it’s just not certain what that message is. Like any other American film about a plane-related incident these days, it also feels just a bit po-faced and reverential. I’m not surprised that the transport safety people have been complaining about this movie, given they are presented as a sort of Spanish Inquisition (no, I didn’t expect that either), but this entirely contrived plot thread is all the film can come up with when it comes to generating actual conflict and drama. 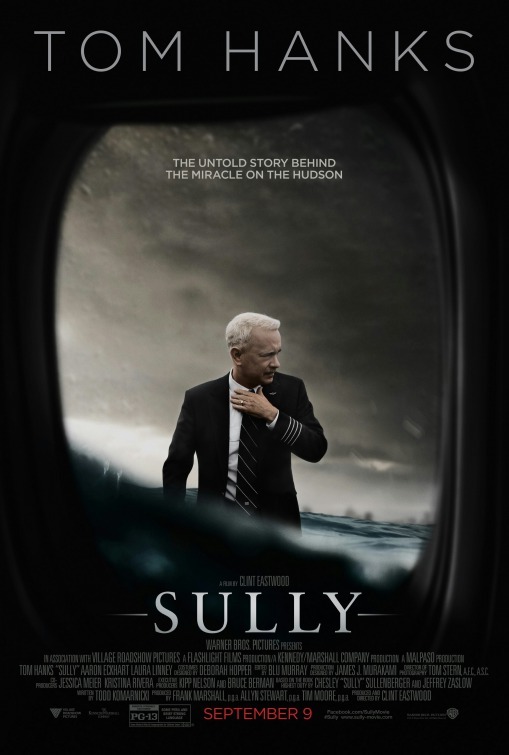 However, it’s telling that their pursuit of Sully, which forms the closest thing the film has to a conventional climax, is essentially resolved by watching people play Flight Simulator, which isn’t that exciting when you play it yourself, let alone watch as a spectator. 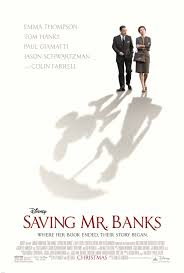 Tom Hanks is one of the great actors, and he’s on full power here – and Clint Eastwood is one of the great directors, and likewise he does nothing wrong (and, fair’s fair, this film has given him the biggest domestic opening of his career). Nobody really drops the ball here, not Eckhart, not Laura Linney as Sully’s wife… well, I suppose you might want to have a word with the screenwriter, perhaps. It’s just that, as Sully himself observes, the incident only lasted 208 seconds, and the rest of the events just aren’t that dramatic enough to sustain a full-length movie narrative. All the things that make this exactly the sort of air-travel incident you’d choose to be involved in are the same ones that keep it from being a genuinely gripping drama. Here’s a (probably borderline) interesting thing: both the movies of The Da Vinci Code and Angels and Demons came out on basically the same weekend in the middle of May (albeit three years apart), an extremely reliable release date for something aspiring to be a solid summer blockbuster. You can’t argue with success, one way or another, and so here we are with another film from the same people – Inferno, directed by Ron Howard, starring Tom Hanks, yadda yadda yadda. And yet, as a glance out of your window may already have revealed, we are in the middle of October, much more nebulous territory for films looking to make pots of money, and in some ways the preserve of those actually aspiring to receive a little critical acclaim and recognition. Has a multi-hundred-million dollar take gone to everyone’s heads? Or is this genuinely a more sophisticated and classy film than its antecedents? Um, no it’s not. But it does have a go at being a rattling good yarn (I believe this is the term). One of the good things about these films is that you get the benefits of Dan Brown’s command of story structure without needing to be exposed to his prose style, and – following some prefatory material about someone falling off a tower in Florence while being chased by mysterious agent-types – we get a properly barnstorming opening, as maverick symbologist (I’ve said it before and I’ll say it again: hmmm) Robert Langdon (Hanks) wakes up in hospital with Movie Amnesia, having had a bang on the head. Rather to his surprise Hanks finds he is in Florence. Events proceed apace as a slightly psychotic policewoman turns up and starts shooting at Hanks, leading him to take cover with the fortuitously English and pulchritudinous ER doctor, played by Felicity Jones. Sure enough, it seems that Langdon has got himself tangled up in another of those shadowy conspiracies he is so prone to encountering. Well, Awix’s handy guide to the Robert Langdon films runs as follows: Da Vinci Code – a bit weird but actually quite thought-provoking and certainly original, in its own way. Angels and Demons – utterly ridiculous but secretly quite fun. Inferno may not feature skydiving pontiffs or photon torpedoes under the Vatican, but it definitely inclines more towards the preposterously daft end of the Dan Brown spectrum. Things adhere very much to the style of the previous films, with a lot of breathless jogging from one art treasure to another while Hanks holds forth on the history of whatever it is they’re going to see – I’ve made the mistake of over-doing my schedule on a holiday and ended up having a similar experience, come to think of it – and then some pointing. One sequence sees Hanks and Jones fleeing a team of heavily armed men while Hanks tries to complete an anagram; this is kind of the level of the whole thing. While it is, as I believe I mentioned, almost absurdly over-plotted and with a few truly outrageous twists along the way (the main one of which I must confess to having figured out well in advance of its appearance), on the whole this remains a pacy, slick and good-looking film – very much a potential apocalypse sponsored by the Italian and Turkish tourist boards. It may be nonsense, but it’s such busy and engaging nonsense that you never completely focus on this, though it’s a near thing. 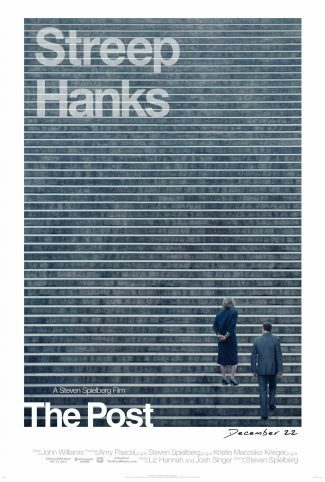 Hanks is his usual personable self and a steady presence at the centre of the film; I don’t think he quite gets the material he deserves, though. As befits a film on this kind of scale, a top-rate cast has been assembled to try and keep a straight face around him – as well as Foster (who’s in the film an impressive amount considering he dies in the first five minutes), there’s Omar Sy, but my award for Best Thing in a Dodgy Movie goes to Irffan Khan, who delivers a bizarrely deadpan comic performance as the leader of a fairly improbable secret organisation. Howard’s direction is as competent as ever, and he stages some interestingly nightmarish hallucinations at the start of the film – these sort of fade away as it continues, which I thought was a bit of a shame, as if nothing else they gave the film more of an identity of its own. I’m not sure what else to say about Inferno: the actual content of the story may be implausible cobblers, but the narrative structure itself is utterly sound, and there’s enough talent involved for the film to pass the time rather agreeably, provided you disconnect your critical faculties. (I’m still not sure if there’s some significance to a film about overpopulation ending with someone having a baby.) I will be utterly staggered if Inferno has any presence in the major categories of next year’s awards season, but it should probably make a tidy sum. 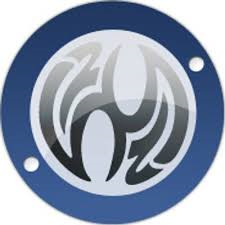 A solid piece of rather hokey mainstream entertainment. Demographers take note: we are living through days in which a Polish-language rom-com entitled Planeta Singli can find enough of an audience to hang on in mainstream UK cinemas for at least a fortnight, while an Anglophone movie, starring Tom Hanks – who is, lest we forget, one of the biggest movie stars of the modern age – barely manages a one-and-done residency. However, it seems this is no mere fluke of geography – Tom Tykwer’s A Hologram for the King has taken a bath in virtually every territory where it has been released, making less money than any other film in Hanks’ career. Adding to this the fact that this movie has hung around for a few years prior to being released, and the signs are there that a fairly spectacular disaster may well be on the cards. The sense of a film which has perhaps missed its moment is only compounded by the very-recent-past setting, although to be fair this is mostly left implicit – the source novel, by Dave Eggers, is apparently set in a post-financial crash, pre-Arab Spring 2010. Hanks plays Alan Clay, an IT executive and salesman looking to re-energise his career. To this end he exploits a rather tenuous connection and flies off to Saudi Arabia. The King of the KSA is intent on conjuring a new city out of nowhere, rather in the same manner modern Dubai has been created, and Clay’s company is bidding to provide state-of-the-art IT and communications equipment to the project. However, all is not well as our man arrives – his tech team are not receiving the support they need from the locals, and there’s no sign of the King – who they will be presenting to – actually putting in an appearance at the site. 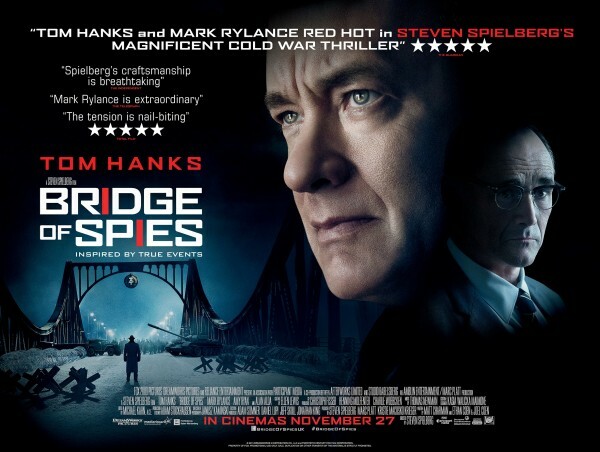 Well, I have to say that ‘will our hero manage to successfully flog a holographic teleconferencing system to the House of Saud?’ is not the most naturally enticing of premises for a major movie, and there is definitely a sense in which Hanks is out of his natural territory – this isn’t an American studio picture, but a German co-production, and apart from the star and Black most of the significant roles are played by European performers. About the most famous of these is Ben Whishaw, who is in the movie for literally about thirty seconds yet has still managed to bag the coveted ‘and’ spot. And the whole film has the slightly indy feel of a co-production – it rather reminded me of films like This Must Be The Place, good looking and made with polish, but rather stronger on character and atmosphere than on actual plot and incident. Hanks has various serio-comic escapades, inevitably meaning he misses the bus every morning and has to get to know Yousef a bit better, writes emails to his daughter (thus enabling some good voice-over stuff from Hanks), finds himself out of his depth at a surprisingly high-octane party at the Danish embassy, gets to know a female Saudi doctor (Sarita Choudhury), and so on. It’s all rather bitty, and some of the bits are better than others – it kicks off with Hanks delivering a rendition of Talking Heads’ Once in a Lifetime, which he does with his customary gusto, but in the end it settles down to be about a romance between Hanks and Choudhury, which manages the neat trick of being both rather predictable and still somewhat implausible. You wonder what made Tom Hanks take on a film like this. (You wonder how a film like this managed to land a megastar like Tom Hanks.) Well, you can perhaps see why this kind of project would appeal to an actor like Hanks – the central character is in virtually every second of the film and does demand a performance of great range and skill from the actor responsible. That’s an interesting challenge, and to be fair to Hanks it’s one which he rises to with consummate skill. Even when the film is at its least focused and most improbable, Hanks is there, giving it his considerable best, keeping it watchable and engaging. I’ve heard it said that the mark of a great actor is that they can be good in a bad movie. 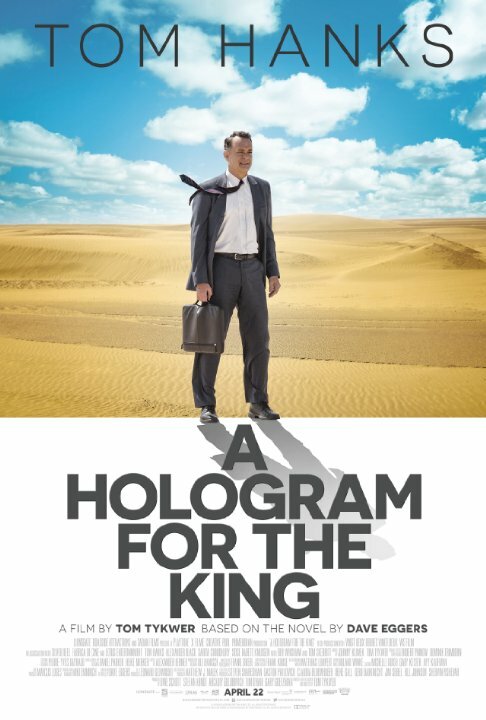 I really wouldn’t call A Hologram for the King an outright bad movie, but the fact that it isn’t is almost solely due to Tom Hanks – it’s probably stretching a point to say that A Hologram for the King is basically just Tom Hanks’ performance and not much else, but at the same time it is the one and only element of the film which is inarguably accomplished, entertaining, and memorable. Nevertheless, this is still a very curious little film which I suspect will end up being very little remembered.